Are you prepared for another Marvel event? The comics publisher sure is hoping you are—and this latest one is bringing a ton of new Venoms into the Marvel universe. Marvel has announced a new five-part event series spinning out of the Venom ongoing comic called Edge of Venomverse. 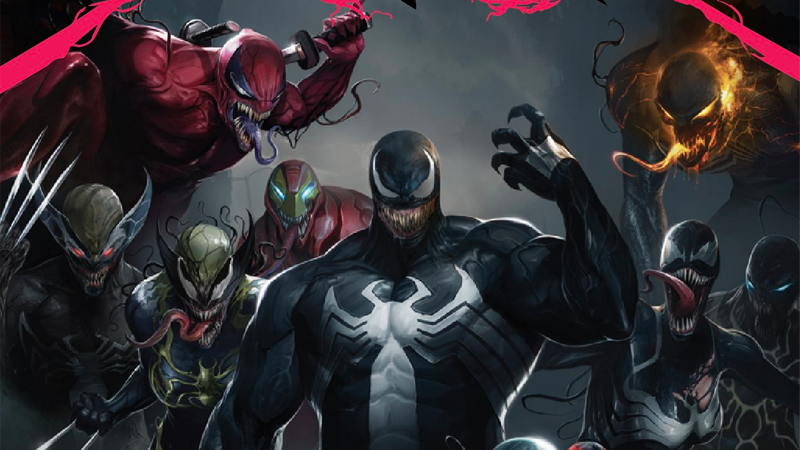 No creative team has been set for the series yet—but a brief synopsis reveals that the series will see a whole host of new venomized takes on Marvel heroes suddenly emerge on the scene. It almost seems like these are actually going to be separate entities to the heroes they’re inspired by—the press release has a bit of a “whose side are they on?” vibe—but either way, expect a lot of black, goopy takes on classic Marvel heroes. Weirdly enough, Venomverse is actually inspired by a series of variant comic covers due to begin soon which feature “venomized” versions of various Marvel heroes. Even weirder? This is not the first Marvel series to be born out of a variant cover campaign—after a series of Gwen Stacy variant covers gave birth to the concept of Gwen-as-Deadpool, we got the ongoing Gwenpool series. It still feels weird that essentially a one-off idea for a cover can be blown up into a full on series or event, but it’s kind of cool. Coolness aside though, this feels all a bit much at the moment. We’ve still got Monsters Unleashed going on, The Clone Conspiracy just wrapped up, and Inhumans vs. X-Men is due to conclude next week. And that’s even before we get to something like Secret Empire in the summer. Marvel really needs to slow its roll with events, otherwise they stop feeling, well... eventful. Edge of Venomverse is due to begin in June.